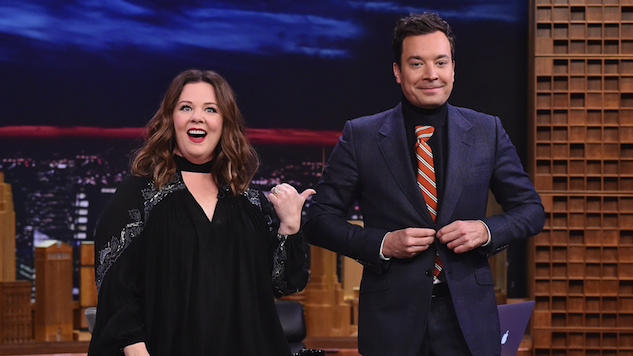 This season of Saturday Night Live is going out with a bang, with Jimmy Fallon (April 15), Melissa McCarthy (May 13), Chris Pine (May 6) and Dwayne “The Rock” Johnson (May 20) lined up as the four final hosts. We’re guessing McCarthy’s hosting night will be the most popular, seeing as a return of her famous Sean Spicer impersonation will be inevitable. However, the other final hosts are also heavy-hitters: Fallon is himself an SNL alum, and Pine and Johnson are two of the most bankable leading men in Hollywood right now. It’s been clear for some time now that this season of SNL has skyrocketed the show’s ratings, due in large part to the political impressions of McCarthy and Alec Baldwin. If SNL is trying to end its 42nd installment with an even stronger viewership, this host lineup might be the way to do it. Along with the host lineup, NBC also announced that the network will divert slightly from tradition by airing the live episodes nationwide at the same time they air on the East Coast. In other words, everyone (and one Twitter-happy oaf in particular) can be online and tweeting about the show simultaneously.